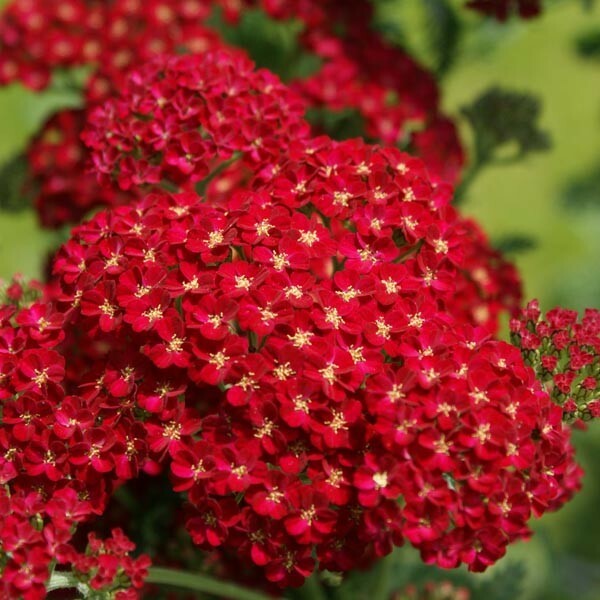 The flattened, rosy-red flowerheads are held on upright stems above the aromatic fern-like foliage throughout summer. This cultivar has good resistance to colour fade. Best in full sun in the middle rank of the border. Good for bees and butterflies. Height 60cm. Sow March to late May under glass at 18-21°C (65-70°F) Germinates in 10-15days. when seedlings are large enough to handle, prick off into pots and grow on. 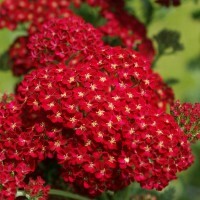 Gradually harden off and plant out in September or October, spacing 30cm (12") apart for flowering the following summer.